Sorry I didn’t get this up last night, but it was a long day. Here are just a few of the races that I have been watching from here in Sussex County that were in the primary hunt. GOP side Rob Arlett defeats long time incumbent Vance Phillips. On the Democrat side, Bob Wheatly defeats Bradley Connor. GOP Incumbent Cindy Green wins by just 13% over first time candidate Brian Butler. Another run for short named Kevin Wade who soundly defeated unknown Carl Smink, that call must have been a wrong number. Sussex County native Ken Simpler defeats last-minute candidate Sher Valenzuela. And in the closest race of the day, Robert Lee wins by just 21 votes over incumbent Jeff Christopher, and due to the closeness of the outcome an automatic recount has been triggered, so this race is not yet official. Many of us expected this to be a close race, but wow! But is anyone surprised that this one isn’t over yet? 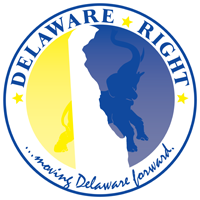 Consider this an open thread to discuss any of the races from around the state, I am sure once we move past the primary we will have lots to discuss now that it is about the difference between the two major parties and the direction of the state of Delaware. One other observation, yesterday Ken Simple was being called a liberal by Sher Valenzuela, and this morning I heard a sound bite from the Democrat candidate for Treasurer Sean Barney, who described Ken Simpler’s views as “TEA Party politics”. I think this shows that Ken Simpler is simply the most, no, the only qualified person for this office which is demonstrated by how all his opponents can do is attempt to place negative labels on him, this will be a race to watch in the coming weeks. 11 Comments on "Talk Amongst Youselves"
Well the pendulum has swung, and struck 3 people squarely in the forehead. Is the moveing van being fueled for Christopher or will he renig? In a county with 200,000+ population, I have to assume that there are at least 50,000 registered Republicans. Yet, in a “pendulum swinging” sheriff race, 10,000 bother to vote? Obviously, the county is evenly divided on this issue. More importantly, 80% of Republicans have no opinion on the matter. Congratulation to the 20% of Sussex Republicans who were somehow able to spend a whole half-an-hour enduring the rigorous voting procedure. To the 80% of Sussex Republicans who just couldn’t bother…. ….shut up, you lazy, apathetic cows. Maybe turnout was so low at the “polls” because voters were looking for “poles”???? Generally primary voters are your core, most informed voters.Contrary to what Crystal is saying the likely reality is that 90% of the Republicans who went to the polls yesterday to vote in the Sheriff’s race knew exactly what the issues were. However, I’m not surprised that the line from the Sheriff’s supporters is that everyone is either uninformed or hates the Constitution if they voted against Christopher. Face it, if Christopher’s views are rejected by half of involved Republicans, it would have been a bloodbath in the general. Face it, if Christopher’s views are rejected by half of involved Republicans, it would have been a bloodbath in the general. Of course, at the end of the day, 80% of Sussex Republicans don’t care who runs for sheriff. Will of the people anyone? In any regard, for an incumbent in any office (especially that of the sheriff of Sussex County) to even have a close election is a rampant sign of no-confidence… We are better if Lee wins; at least we will all have confidence in his abilities making governing much easier. However, I’m sure right now someone has already sneaked into to the Dept of Elections and is pulling out absentees marked with Lee’s name. The sheriff results was sort of a census on how many whack jobs live in Sussex County. Somewhere in the vicinity of 5,000. 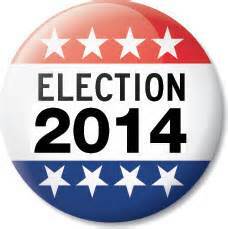 Even if there is an issue with the absentee ballots Lee still won by 2 votes. The machine votes stand with no planned recount as announced on WBOC.